If a general dentist decides to perform root canals, then he or she need to consider the clinical and practice management pros and cons of doing so. Furthermore, clinical proficiency in endodontics and having the right armamentaria is very important. One needs to keep in mind which teeth and clinical scenarios may present challenges. These may include calcified and curved roots, and the difficulty in locating MB2 canals. While there are challenges, there are also means available to help manage various complex scenarios. Manor Haas, DDS, is a certified specialist in endodontics. He is extensively and passionately involved in continuing dental education. 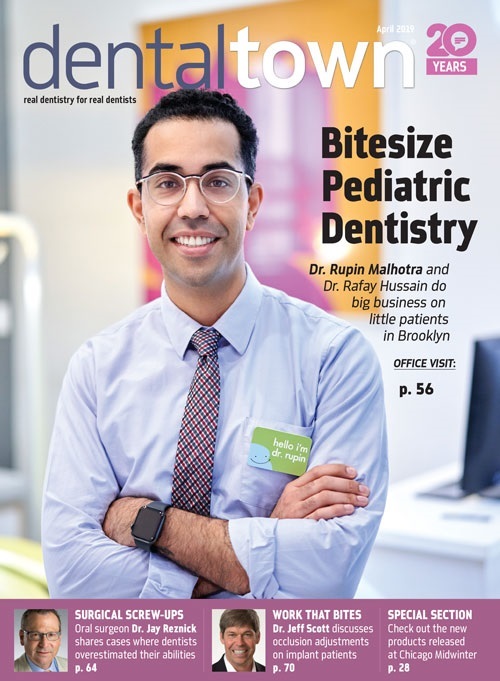 He is a fellow of the Royal College of Dentists of Canada, and is on staff at the University of Toronto Faculty of Dentistry, and the Hospital for Sick Children. He maintains a full-time private practice limited to endodontics and microsurgery in Toronto. Haas has lectured and hosted many international workshops on modern endodontics and has contributed to numerous dental journals. To contact the author, email him at manor@hassendoeducation.com or visit hassendoeducation.com.